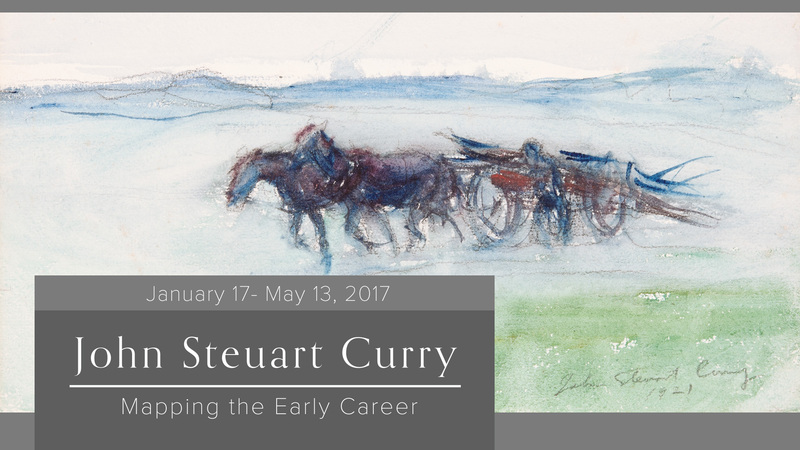 During the late 1920s, artist John Steuart Curry (1897-1946) gained national attention for his paintings of rural Kansas. Critics lauded his distinctive vision of the Midwest, and he became associated with leading Regionalist artists Thomas Hart Benton of Missouri and Grant Wood of Iowa. Much less is known about Curry’s early years as an artist. An exploration of his career beginnings provides a deeper understanding of the conceptual and formal underpinnings of his later success. This exhibition of works from the Beach Museum of Art and other collections charts the artist’s art studies in various parts of the United States and Europe and his exploration of occupations, including magazine illustration and mural making. A recently conserved map mural, on loan from the Burr Living Trust of Lewisberry, Pennsylvania, makes its public debut in the installation. The exhibition is organized by Curator Liz Seaton and members of a spring 2016 seminar through the K-State department of art, comprised of students from K-State and University of Missouri-Kansas City. Major support for “John Steuart Curry: Mapping the Early Career” is provided by Joann Goldstein in memory of Jack Goldstein. Additional support comes from the R.M. Seaton Endowment for Exhibitions and The Ross and Marianna Kistler Beach Endowment for the Marianna Kistler Beach Museum of Art. 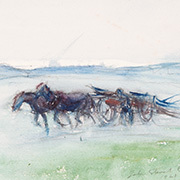 During the late 1920s artist John Steuart Curry (1897-1946) gained national attention for his portrayals of Kansas. 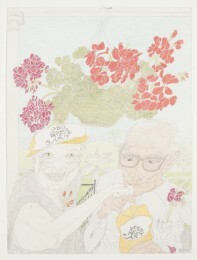 At the height of his career, during the 1930s, he would become associated with prominent Regionalists Thomas Hart Benton of Missouri and Grant Wood of Iowa. Much less is known about Curry’s early years as an artist. An exploration of his career beginnings provides a deeper understanding of the conceptual and formal underpinnings of his later success. This exhibition explores Curry as a student and early professional through more than thirty drawings, paintings, and magazine illustrations. A major mural on loan from the Burr Living Trust of Lewisberry, Pennsylvania, will be a centerpiece of the installation, which will present never-before-viewed objects from the museum’s collection, numbering over 900 Curry works. The exhibition is organized by Curator Liz Seaton and members of a spring 2016 seminar, comprised of students from K-State and University of Missouri-Kansas City. Thursday, February 2, 5:30 p.m.